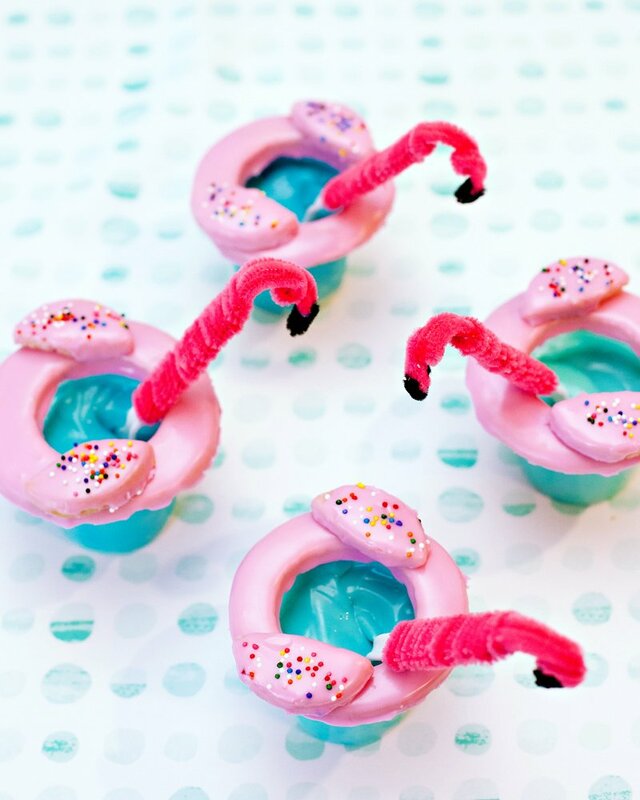 I really tried to make sure that the treat ideas for this party were cute and on theme… yet still totally doable! Nothing on this table requires a massive budget or intricate dessert guru skills to recreate. 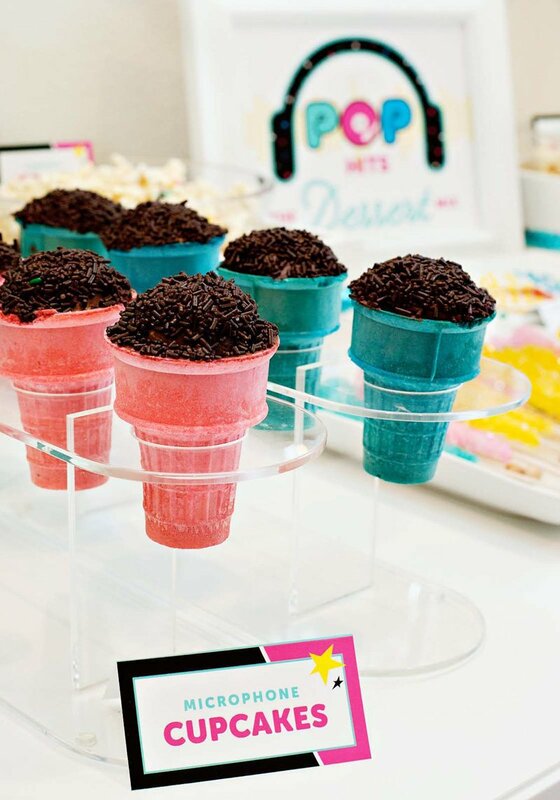 This meant relying on easy tricks like giving popular store-bought sweets clever “pop star” names, and working in a few playful ingredients that are show-stoppers all on their own… like bright pink and blue ice cream cones, for starters! To assemble the cones: pipe a bit of chocolate frosting into a baked cone, then place a mini cupcake on top. Next, frost the top of the mini cupcake and dip it into a bowl of chocolate sprinkles. Done! 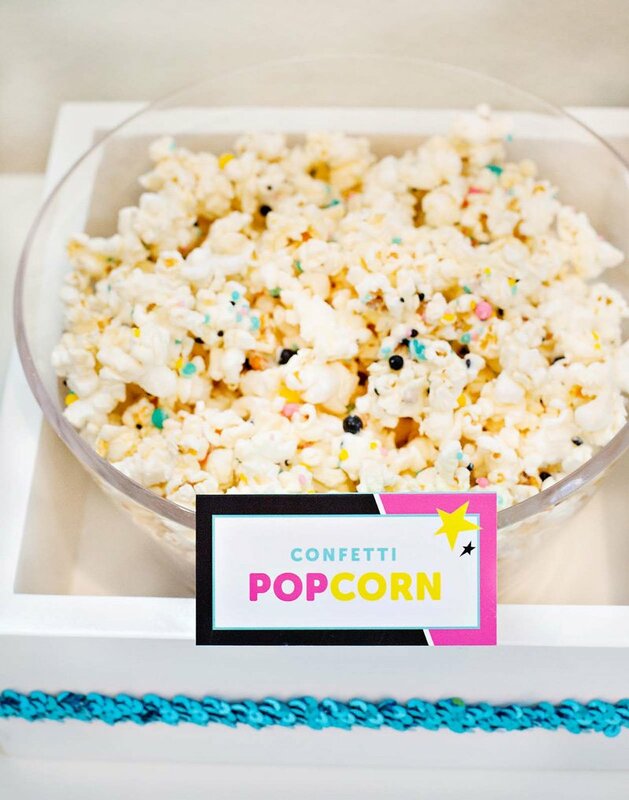 To make it, mix 1/2 cup white melting chocolate (or white candy melts) with 12 cups popped popcorn. Immediately spread the coated popcorn out on a cookie sheet, then sprinkle generously with Candyfetti (like I did here), or with your own favorite color-coordinating sprinkles. Let dry for about 2 hours. Enjoy! 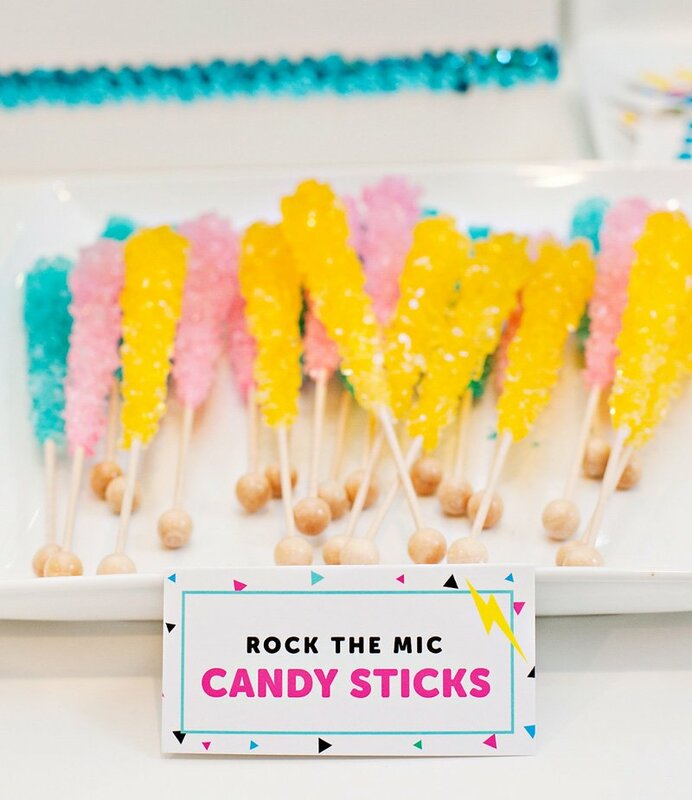 Retro candy dots were cut into rectangles and renamed “Wardrobe Buttons”, and Pop Rocks were just laid-out as is…. they fit right into the theme, of course! 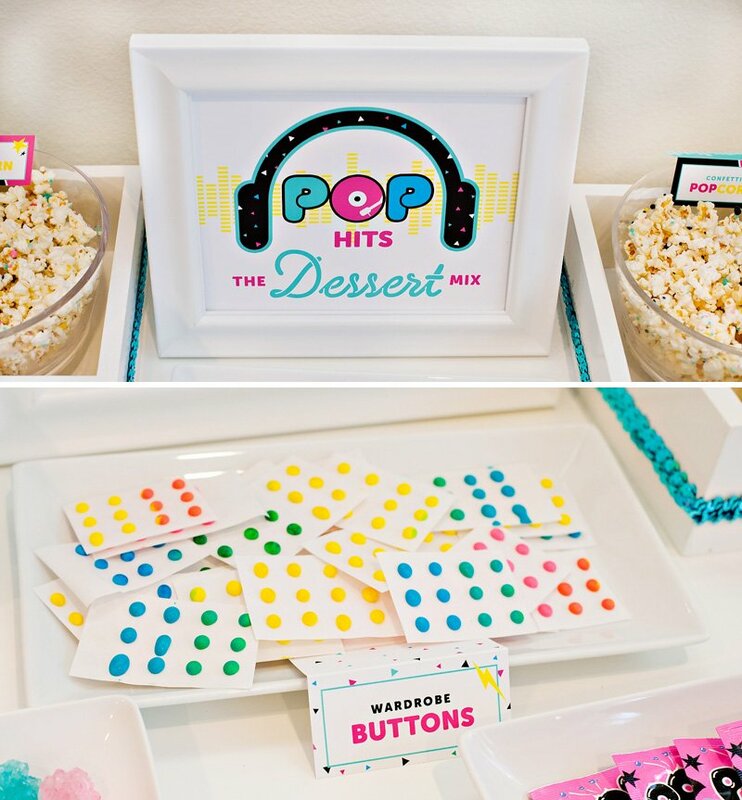 I also designed a “POP Hits” sign that you can download here for free, along with the dessert label cards in both pre-filled and blank. The top of the cake is also sprinkled with the same Candyfetti used on the popcorn. Using the same ingredients in different treats really helps tie a table together. I also think it would be cute to add some sparkly stars to this topper next time! Last but not least is the dessert table backdrop. 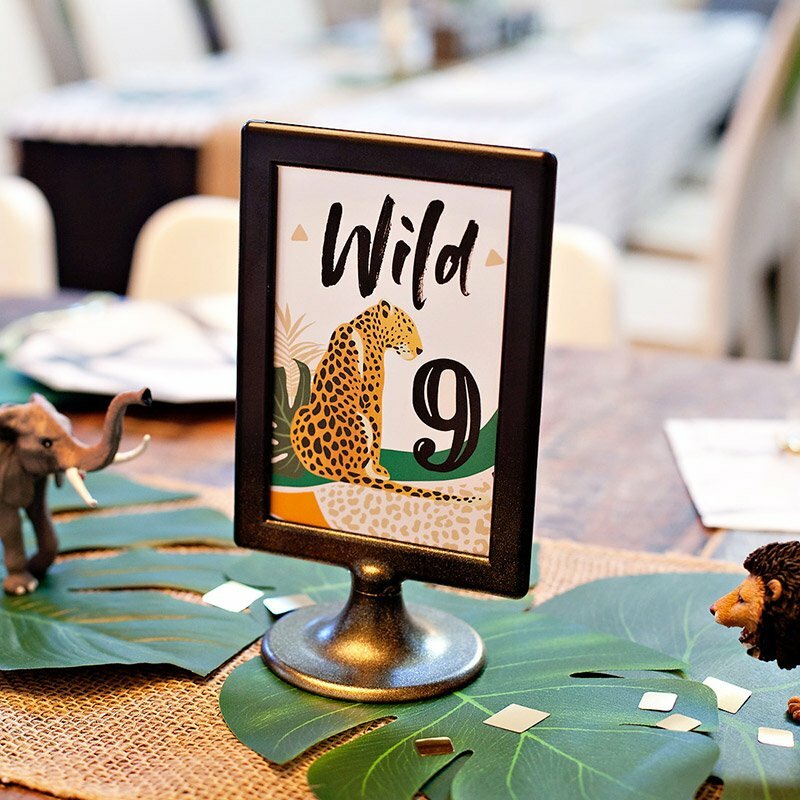 I love the idea of using marquee lights on the backdrop, but they can add up pretty quickly – so I chose to just do 3 letters as marquees and the rest as balloons, which are a lot less expensive (around $1.50 each). 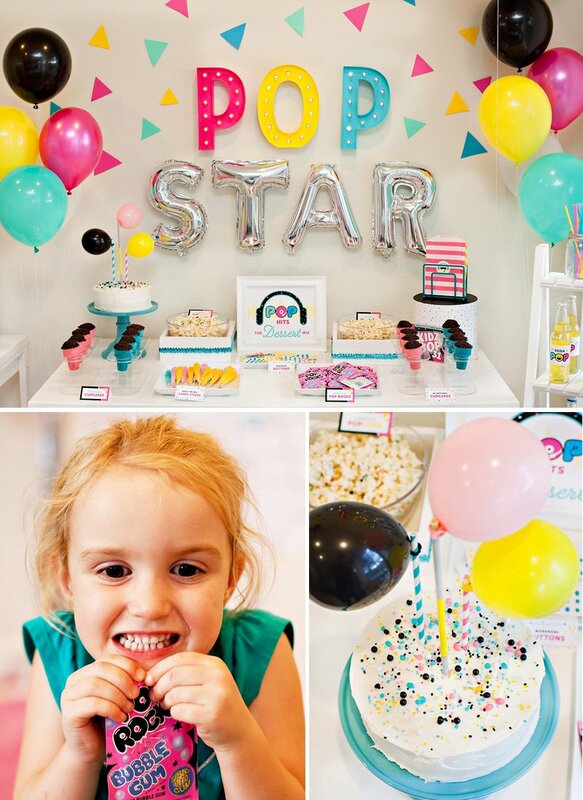 The word POP is made from 12″ Heidi Swapp marquee lights, which come in plain white and are meant for DIY decorating, so I spray painted them to match the party. The triangle “confetti” pieces around the letters are just free-hand cut from colored card stock and attached to the wall with rolled tape. I love how festive they look! P.S. 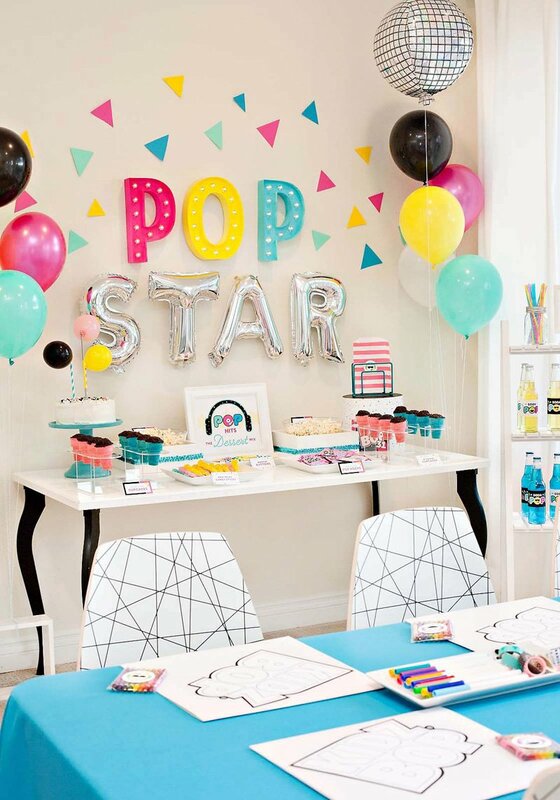 There’s LOTS MORE where this came from, so if you’re planning a Pop Star Party, make sure to check out my initial Pop Star Party post, which has lots of activity ideas, decorations, drinks, and lots more free printables! 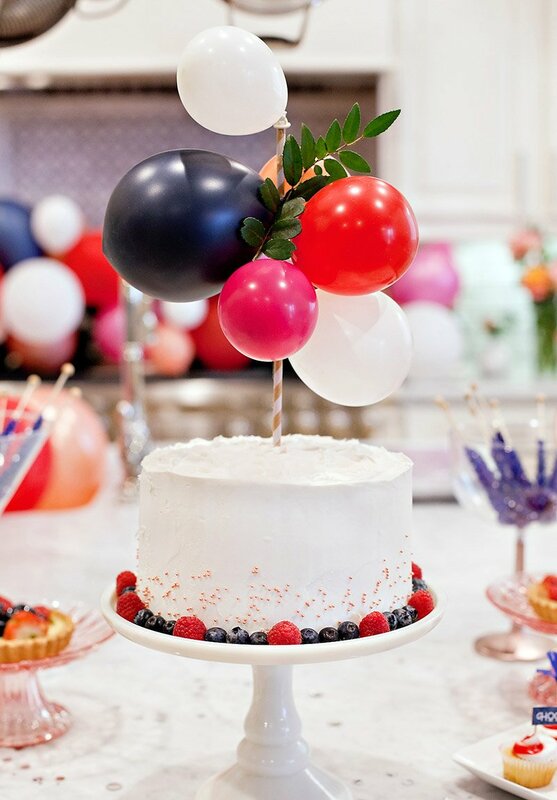 Great party theme! 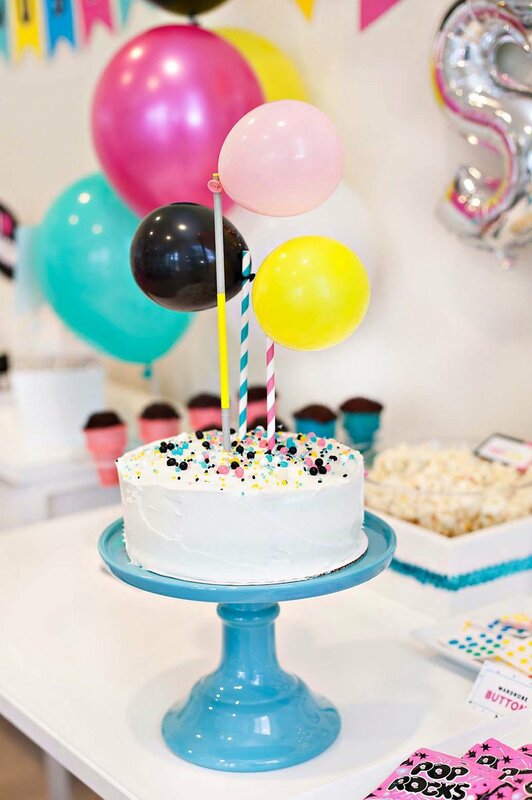 love the bold bright colours and the fun activites and props. Awesome work! 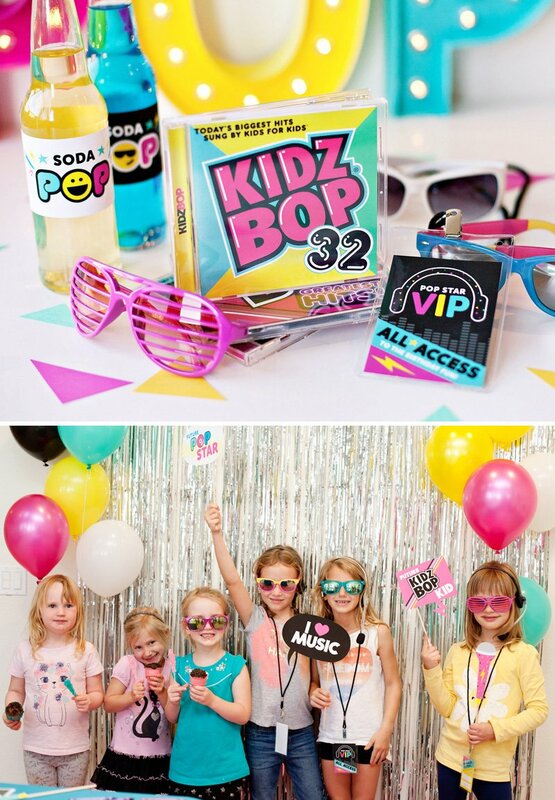 A very fun themed party idea! All the themed food and decorations are very impressive and would be sure to go down a treat with kids. 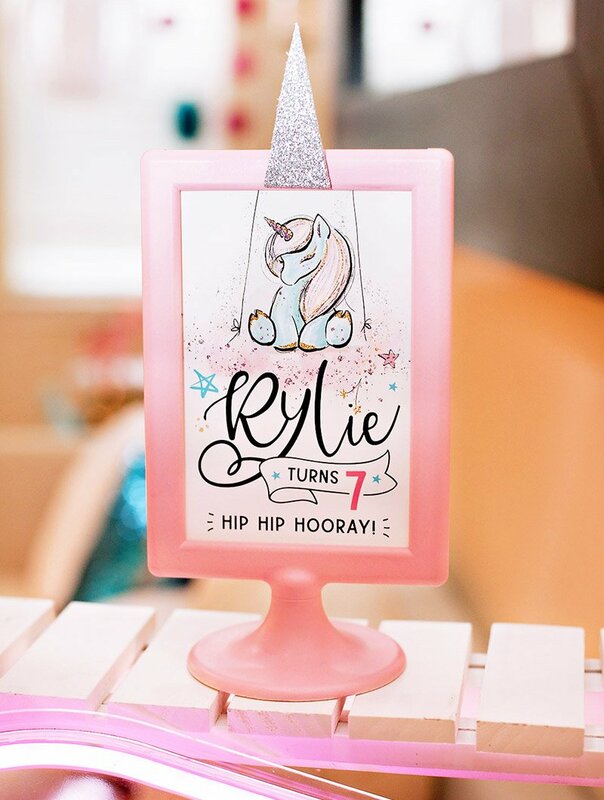 Another great addition to this theme or any kids party, is including a photobooth. 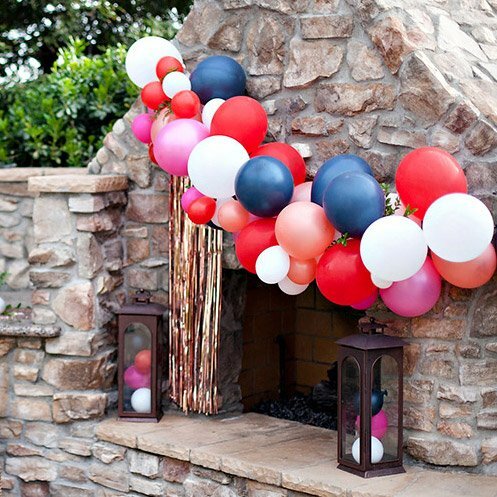 They are always a popular addition to any party or event. They are a great way to entertain guests, and to get additional, fun and candid photos of the guests.